Manufacturer and Exporter of Milled Parts. Our product range are available in affordable price. We are counted amongst the well-known corporation affianced in offering a wide assortment of Spacer Washer. The offered space washers are applauded in market for their quality. Our offered space washer is designed by utilizing with unfinished material under the keen direction competent experts. We offer these space washers in numerous stipulations with different packaging options. Our customers can this space washer from us at affordable rates. Focusing on the success, we are engaged in presentingMilled Parts. Offered automotive components are processed by our highly practiced workers by utilizing finest factor inputs and updated technology in conformity with market norms. All the automotive components are completely examined by our quality specialist for make certain their quality. Our customers can take these automotive components from us at reasonable rates. Famous for creating new benchmarks in the market as a manufacturer, exporting, and supplier, we are engaged in presenting Milled Parts. These milled parts are processed with the aid of perfect quality components which is taken by our procurement agents form reputed vendors. Our offered milled part is smoothly examined by our quality specialist. We offer these milled parts to our customers in a bulk quality. 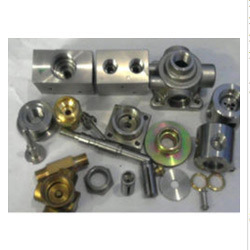 Aiming to attain maximum client satisfaction, we are engaged in presenting Milled Parts. The offered milling components are valued for their quality & durability. Our offered milling components are processed by utilizing best grade unfinished material with updated technology. Our customers can take these milling components from us at affordable rates. We are one of the manufacturers, exporters and suppliers of an admirable quality range of Milled Parts. 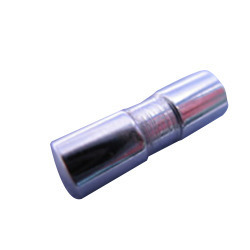 These turned parts are designed with the usage of best grade unfinished material. The offered turned parts are broadly applauded in market for their quality. Our customers can take these turned parts from us only at affordable rates. Taking quality as our prime apprehension, we are engaged in manufacturing, exporting, and supplying Milled Parts. The offered milling components are designed with the help of supreme class unfinished material. These milling components are acclaimed for their unique quality & long life. Our customers can take the entire assortment of milling components from us with customization facility and different dimensions according to the customer’s needs. Commended in the industry as a manufacturer, exporter, and supplier, we are engaged in presenting End Rod. The offered end rods are applauded in market for their quality. Our offered end rod is designed by utilizing with unfinished material under the keen direction competent experts. 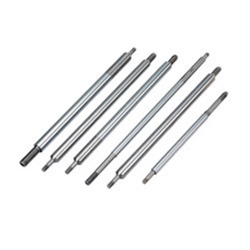 We offer these end rods in numerous stipulations with different packaging options. Our customers can this end rod from us at affordable rates. We are counted amongst the well-known corporation affianced in offering a wide assortment of Milled Parts. These aluminum turned part are processed with the aid of perfect quality aluminum which is taken by our procurement agents form reputed vendors. 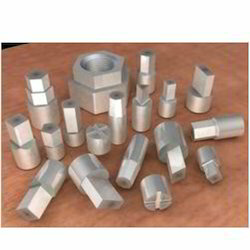 Our offered aluminum turned part is smoothly examined by our quality specialist. We offer these aluminum turned part to our customers in a bulk quality. 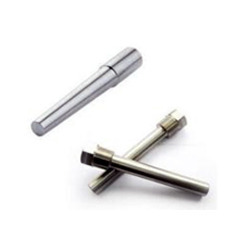 Backed with immense industry skill and acquaintance, we are engaged in offering Bar Stock Thermowells. The offered bar stock thermo wells are valued for their quality & durability. Our offered bar stock thermo wells are processed by utilizing best grade unfinished material with updated technology. Our customers can take these bar stock thermo wells from us at affordable rates. Our clients can avail from us a wide range of Milled Parts. The offered temperature thermo wells are designed with the help of supreme class unfinished material. These temperature thermo wells are acclaimed for their unique quality & long life. Our customers can take the entire assortment of temperature thermo wells from us with customization facility and different dimensions according to the customer’s needs. 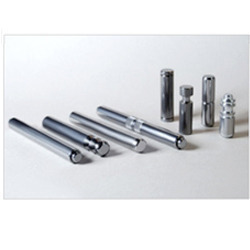 We are fruitfully ranked amongst the top manufacturers, exporters, and suppliers of an inclusive gamut of Ball Pins. 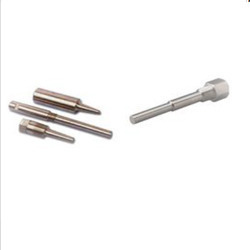 Offered ball pins are processed by our highly practiced workers by utilizing finest factor inputs and updated technology in conformity with market norms. 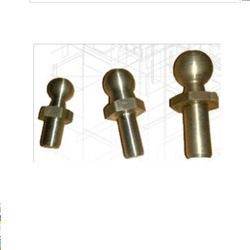 All the ball pins are completely examined by our quality specialist for make certain their quality. Our customers can take these ball pins from us at reasonable rates. 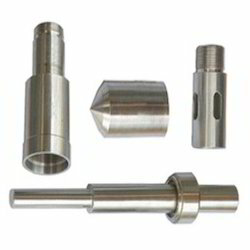 We are affianced in offering a broad range of Milled Parts. The offered Milled Parts are applauded in market for their quality. Our offered Milled Parts is designed by utilizing with unfinished material under the keen direction competent experts. 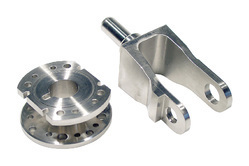 We offer this Milled Parts in numerous stipulations with different packaging options. Our customers can this Milled Parts from us at affordable rates. With rich industry experience, we are presenting our clients superior quality Milled Parts. 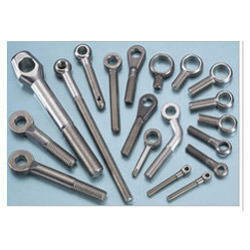 These parts are designed with the usage of best grade unfinished material. The offered parts are broadly applauded in market for their quality. Our customers can take these parts from us only at affordable rates. With the help of our professionals, we have been able to offer our clients cost effective Milled Parts. These sleeve bushes are processed with the aid of perfect quality components which is taken by our procurement agents form reputed vendors. Our offered sleeve bush is smoothly examined by our quality specialist. We offer these parts bushes to our customers in a bulk quality. We are providing our clients a wide range of Milled Parts. The offered parts are designed with the help of supreme class unfinished material. These high parts are acclaimed for their unique quality & long life. Our customers can take the entire assortment of high parts from us with customization facility and different dimensions according to the customer’s needs. Range: Diameter M4 To M52 & 3/16" To 2"
Aiming to attain maximum client satisfaction, we are engaged in presenting Milled Parts. 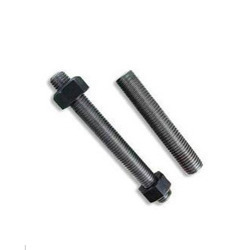 These bolts are designed with the usage of best grade unfinished material. 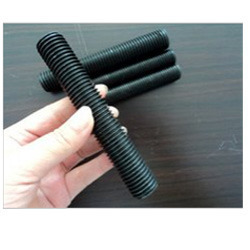 The offered bolts are broadly applauded in market for their quality. Our customers can take these bolts from us only at affordable rates. Taking quality as our prime apprehension, we are engaged in manufacturing, exporting, and supplying Milled Parts. 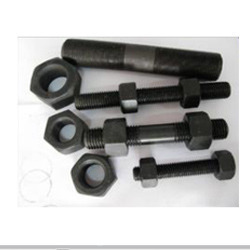 These bolts are processed by using unfinished material under the prophet observation of competent experts. 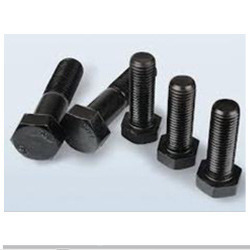 Our offered bolts are examined properly by quality specialist to ensuring flawless range. Our customers can take these bolts from us at affordable rates. Focusing on the success, we are engaged in presenting Milled Parts. 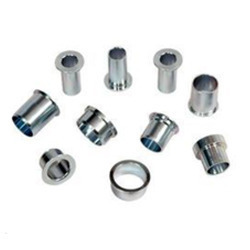 These MS studs are processed with the aid of perfect quality components which is taken by our procurement agents form reputed vendors. Our offered MS studs are smoothly examined by our quality specialist. 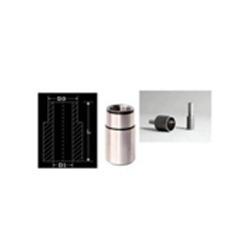 We offer these MS studs to our customers in a bulk quality. Range: Diameter M4 to M100 & 3/16" to 4"
Commended in the industry as a manufacturer, exporter, and supplier, we are engaged in presenting Milled Parts. The offered MS eye bolts are valued for their quality & durability. Our offered MS eye bolts are processed by utilizing best grade unfinished material with updated technology. Our customers can take these MS eye bolts from us at affordable rates. Range: Diameter M6 to M36 & 1/4" to 2"
We are one of the manufacturers, exporters and suppliers of an admirable quality range of Milled Parts. 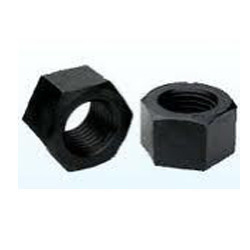 The offered studs are designed with the help of supreme class unfinished material. These studs are acclaimed for their unique quality & long life. 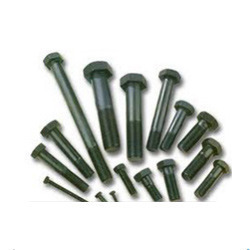 Our customers can take the entire assortment of studs from us with customization facility and different dimensions according to the customer’s needs. With the help of our professionals, we are engaged in offering our clients Milled Parts. Offered parts are processed by our highly practiced workers by utilizing finest factor inputs and updated technology in conformity with market norms. All the parts are completely examined by our quality specialist for make certain their quality. Our customers can take these parts from us at reasonable rates. Range: Dia. M8 to M100 & 5/16" to 4"